Speed is somewhat subjective. We don’t stand out there with radar guns or have posted speed limits. Generally speaking, what we look for in our Slow Zones is relative speed. How fast are you going compared to the people around you? If you find yourself passing a lot of other people, you’re going too fast. If you go with the flow, you’re skiing or riding a safe speed. We use relative speed as our gauge because dangerous situations happen most when people are trying to pass others in crowded areas. Think about a highway. If everyone is going about 75 miles per hour, changing lanes isn’t a big deal. Everyone knows what other cars are doing. But, if a famous racecar driver suddenly comes through going 100 miles an hour and weaves in and out of traffic, it is much harder for other drivers to make adjustments and keep a safe spacing. Even though the racecar driver is a pro, he or she makes the road less safe because the speeding car is forcing everyone else to make adjustments to unpredictable behavior and avoid accidents. It’s the same concept on snow, except we don’t have lane lines or turn signals, there’s a wide variety of skier and rider ability. That’s why we look for relative speed. It is less about individual ability than it is about collective predictability and safety. If you find yourself weaving through people and passing, just slow down and go with the flow. If you’re the only person on the hill, you get to set the pace. Just make sure to make in control predictable turns. 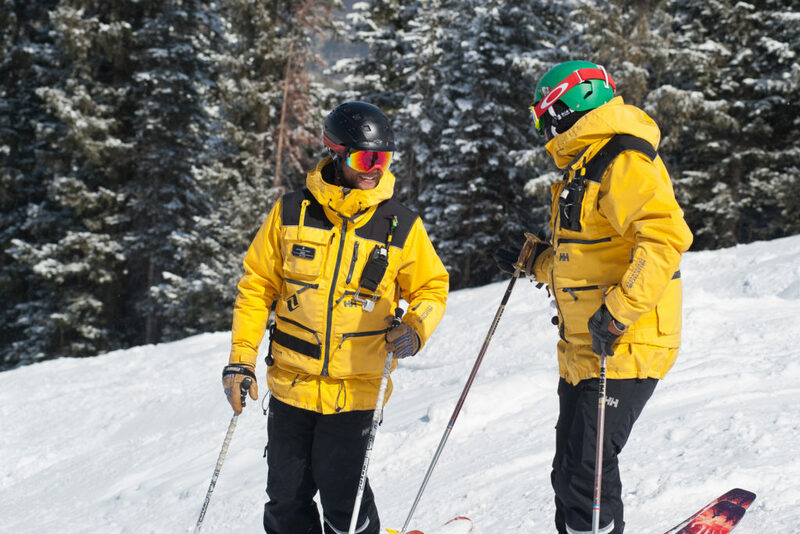 If you ever have any questions or aren’t sure what relative speed means, come stand with one of our Mountain Safety team members. We’d be happy to have you watch the traffic coming down the mountain with us and answer questions. We’re getting ready for some great spring skiing. And with everyone’s help, we can keep Vail Mountain a fun, safe place for everyone.